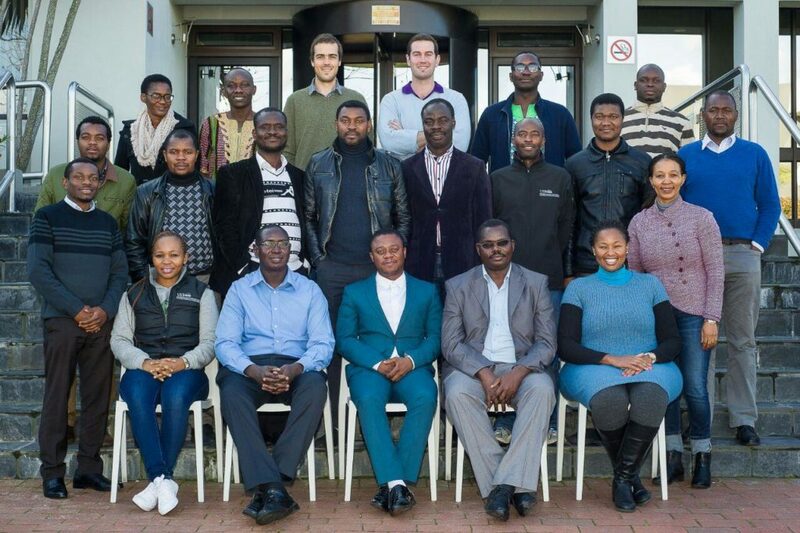 Participants at the ‘Applied Efficiency and Productivity Analysis of Agro-Enterprises in Developing Countries’ training in Cape Town, South Africa. The challenges facing sub-Saharan Africa are many, but none as potentially damaging for food security, livelihoods and economic growth as unproductive agriculture and inefficient value chains. Understanding the drivers and causes of inefficiency and low productivity is critical to finding solutions for better policy, technology and extensions services. Policy makers, industry leaders and smallholders need accurate and timely information to make better decisions to overcome the challenges of the future. Currently, there is limited expertise, capacity and finance in Africa for research and analysis on improving efficiency and productivity gains, a vicious cycle that has left many researchers to rely on informal learning for personal development. With support from the Crawford Fund, a five-day training course in Cape Town, South Africa on ‘Applied Efficiency and Productivity Analysis of Agro-Enterprises in Developing Countries’, enabled 21 participants from 10 African countries to learn practical skills on how to improve their own research and analysis at work and school. The training course, coordinated by Dr. Nyankomo Mwarwa of the University of Stellenbosch Business School (USBS) and led by Dr. Amin Mugera of the Institute of Agriculture at the University of Western Australia (UWA), provided the participants with three days of intensive training followed by two days of practical application in real-world scenarios. The training course, in addition to teaching practical skills, was designed to familiarise participants with the fundamental principles of performance benchmarking to inform policy on how to improve efficiency and productivity of agricultural systems. “There is a great need for continued capacity development in Africa in the areas of efficiency and productivity analysis,” concluded Dr Mugera.